G E T F R I N G E D! Fringe is IN and everything looks gorgeous with fringe! We have collected a beautiful collection of faux leather and faux suede items that will make you want to get some fringe in your life! 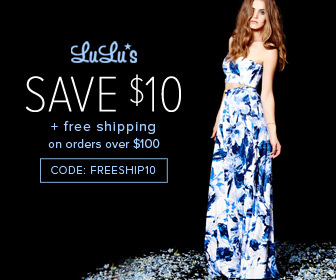 Every price level, color and every style. 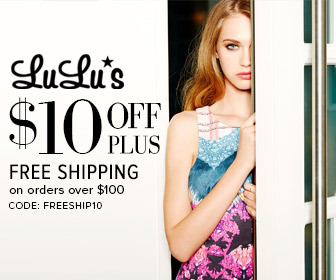 Browse Shop Love! 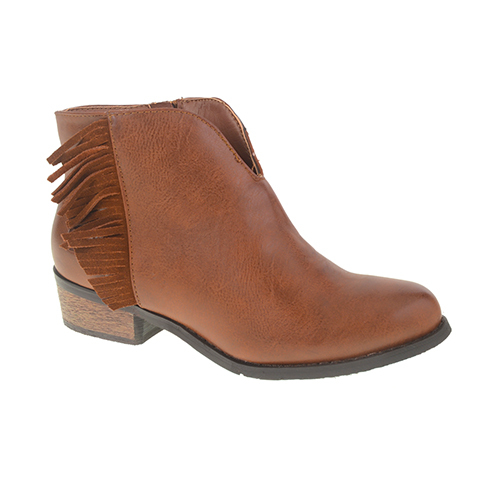 Faux leather and faux suede is the perfect material for fringing—it’s easy to care for, cruelty free, lighter and more comfortable! And so trendy! We know what news is on the wind; everyone is smitten with the Gossip in the Grain Blush Fringe Suede Dress! Soft microfiber suede shapes a relaxed-fitting, sleeveless bodice with a rounded neckline, darting, and fringe that hangs from a horizontal back seam. 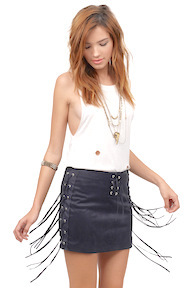 Fringe also cascades from the waistline, dangling below the skirt’s hem. Unlined. Fringe measures 3″ longer than dress at bottom. 100% Polyester. Machine Wash Cold or Dry Clean. Imported. 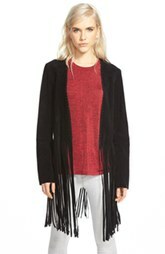 Say What faux suede fringe vest. A sleeveless, open front mini vest with super long fringe trim. This piece will spruce up any outfit and give it a bit of Western flair. 100% polyester. Machine wash. Imported. Even your cards and cash deserve to be carried in style. The Fringe Benefit Wallet is crafted with 100 percent vegan friendly leather and features a bi-fold snap shut design. Includes a zipper pocket and 5 inch fringe zipper pull. Dimensions: 7.5″ long x 4″ high. Imported. 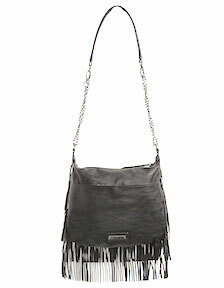 Volcom Fringe Benefit hobo bag. 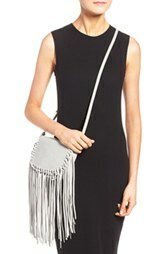 Get a retro look that’s totally modern with the Fringe Benefit Hobo Bag. 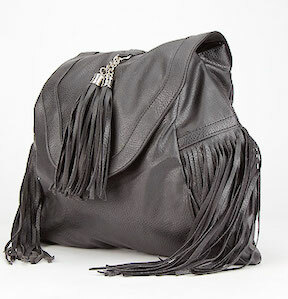 Crafted from 100% vegan friendly leather, this rock star sassy style features an asymmetrical zipper pocket and fringe. Zip main compartment features interior zip pocket and organizer pockets. Approx dimensions: 15″ x 12″ x 5″(38cm x 30.5cm x 12.7cm). Imported. With an asymmetrical fringed hemline and long sleeves, this open front kimono will add a dose of suede goodness to your Fall outfits. 100% polyester. Machine wash. Imported. 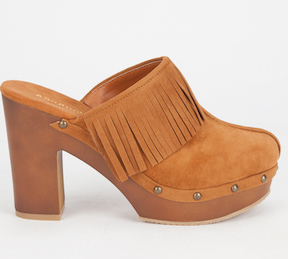 Faux leather upper with fringe detail. Stud accents. Faux leather footbed. Approx 1.25″(3cm) midsole gives rise to a 4.25″(11cm) heel. Textured synthetic outsole. Imported. Faux leather backpack. Magnetic snap flap with tassel details. Rucksack style main compartment features interior zip pocket and organizer pockets. Hanging fringe trim at sides. Approx dimensions: 13.75″L x 11.5″H x 6.25″D. Imported. 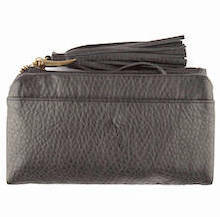 Madden Girl faux leather crossbody bag. Magnetic snap button slip front pocket with metal Madden Girl logo badge. Hanging fringe tier accents at back. Zip main compartment features interior zip pocket and organizer pockets. Removable shoulder strap. Approx dimensions: 9″L x 8″H x 3″D(23cm x 20cm x 8cm). Imported. 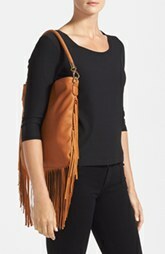 A woven strap is punctuated with metal hardware on this totally boho-chic hobo finished with swingy faux-leather fringe. Removable strap.Interior zip, wall and smartphone pockets. Polyester/polyurethane/cotton. By Street Level; imported. Rule Breaker Faux Leather Shift Dress by Raga (V) $108 BlackCascading fringe swings from a single chevron on a sumptuously soft faux leather shift topped with an elegant split neckline. 32″ length (size Medium). Slips on over head. 95% polyester, 5% spandex. Hand wash cold, dry flat. By Raga; imported. 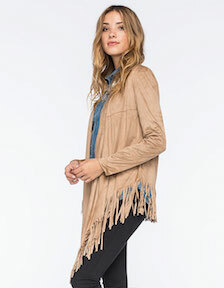 A panel of fringe at each side adds up-to-moment edge to a faux-suede moto jacket detailed with trapunto-stitching atop the shoulders and back hem.18 1/2″ front length; 20″ back length (size Medium).Asymmetrical front-zip closure. Zip cuffs. Zip pocket at waist.92% polyester, 8% spandex. Hand wash cold, line dry. 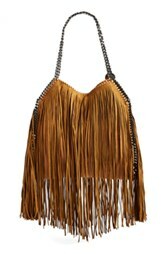 Long, flowing fringe punches up a cute faux-leather bag that can be worn as a clutch or crossbody style. Top zip closure. Interior pocket. Polyurethane. By Street Level; imported. 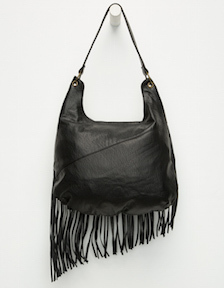 Gilded ball trim adds an extra dash of flash to a hobo bag detailed with tiers of fringe. A deep, lined interior and plenty of pockets add everyday convenience to the boho-chic style. Top zip closure. Exterior zip pocket. Interior zip, wall and smartphone pockets. Lined. PVC. A long fringe overlay creates swishy movement on a statement-making faux-suede skirt that combines rustic inspiration with flirty, modern style.Hidden back-zip closure. 90% polyester, 10% spandex. Machine wash cold, tumble dry low. 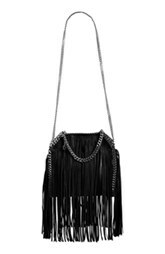 Long, swingy fringe makes this version of the iconic Falabella tote a fashion headliner. Perfectly suited to boho, ’70s-inspired and New Western styles, this ultra-versatile tote will be on heavy rotation in your wardrobe for seasons to come.Magnetic-snap closure.Interior wall pocket. Logo-print lining. Faux leather. By Stella McCartney; made in Italy. 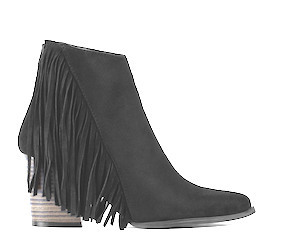 Here’s a more polished way to bring the fringe trend to the office. 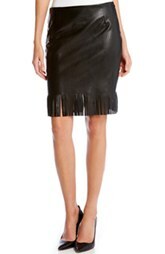 Switch out your standby pencil skirt for this supple faux-leather version with a border of raw-cut fringe. 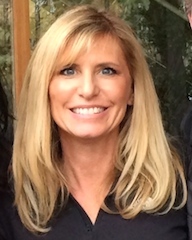 20 1/2″ length (size Medium). Hidden side-zip closure. Unlined. 50% polyurethane, 50% viscose. Dry clean. By Karen Kane; made in the USA of imported fabric. Available online only. On point with the Western trend, a jacket with swaying fringe is cut from a soft and stretchy fabric with the posh look of suede, without the weighty cost or feel.27 3/4″ length (size Medium). No closure. V-neckline. Long sleeves. Rivet detail in front. 90% polyester, 10% spandex. Machine wash cold, line dry. By Karen Kane; made in the USA of imported fabric. Well-tailored seams craft a flattering, streamlined silhouette on a jet-black jacket with a slightly abbreviated hem that’s finished with cascading fringe. 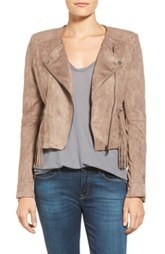 Constructed from buttery soft faux suede, this fringed top layer is equal parts rock ‘n’ roll and bohemian-luxe. 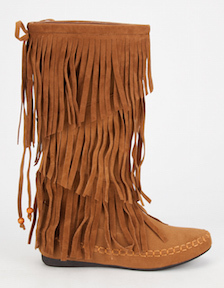 20″ height, 18″ fringe (size Medium).No closure. Vented cuffs. Lined. 95% polyester, 5% spandex. Machine wash cold, tumble dry low. Southern California-based Sbicca lays a little West Coast style on wedge booties that feature a chain and fringe detail for vintage appeal.3 3/4″ heel (size 8.5). 5 1/2″ boot shaft, 1″ platform. Interior side-zip closure. Padded insole. Synthetic upper, lining and sole. Long fringe adds dramatic ’70s flair to a signature Stella McCartney tote traced with polished chain detailing and finished with a logo-etched medallion. Magnetic-snap closure. Interior zip pocket. Logo-jacquard lining. Synthetic. By Stella McCartney; made in Italy. There’s no better jacket for just hanging around with some good friends than the Glamorous Dropping a Line Black Vegan Leather Jacket! This vegan leather jacket has a mainlined style with its half sleeves, cropped length, open front, and contouring seams running down the front and back. 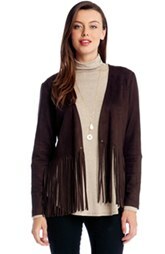 And don’t forget about the chic fringe that hangs from both the sleeves, and all around the waistline. Fully lined. Fringe measures 11″ long. Self: 60% Polyurethane, 40% Viscose. Lining: 100% Polyester. Dry Clean Only. Imported. The pleasure is to play, makes no difference what you say, the only shorts we need are the Ace of Suede Washed Olive Green or Black Suede Shorts! 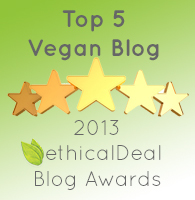 Soft, vegan microfiber suede in washed olive or black shapes a high banded waist above shorty-shorts. 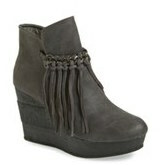 Diagonal front pockets offer a tailored touch, and cool lace up, fringe embellishes the sides. Hidden zipper/hook clasp at back. Unlined. 100% Polyester. Machine Wash Cold or Dry Clean. Imported. From a tall grass prairie to the heart of the dance floor, the Great Plains Grey Suede Fringe Skirt is perfect for it all! Soft microfiber suede knit forms a high, banded waist before flowing into two long tiers of fringe that end at a midi length. Hidden back zipper with clasp. Unlined. Fringe measures 14.5″ at bottom. 100% Polyester. Machine Wash Cold or Dry Clean. Imported.